In his preface to the Genevan Psalter in the year of 1543, John Calvin encouraged the church “to have songs” that are not only honest, “but also holy.” In my own devotional reading of the Psalms this year, I’ve again been overwhelmed by the honesty we find in every Psalm. When the Psalmist laments, he really weeps. When he’s angry or frustrated, you start to feel that angst along with him. When he’s happy or “blessed,” those good vibes start flowing within me too. And when the Psalmist feels abandoned by God, or forsaken by his friends, memories of feeling God’s absence in my own life and the loneliness that we may feel through difficult seasons of life well up within me too. The songs we sing back to God should, of course, be honest. But, as Calvin points out, they should also be holy—as God is holy. There’s an honesty in the blogosphere that is rather crass and unholy. Although the Psalms are transparent and even, “authentic” (to use a buzzword…oh great, now I’m #triggered :p), they’re not so open that it turns into complete trash talk. There’s a holy reverence to the talk, even if it’s course—it’s still ultimately honorable to God and simultaneously honest before men. Citing the church father Augustine, Calvin agreed that “no one is able to sing things worthy of God except that which he has received from him.” In other words, if we want to be sure that God will accept our worship, nothing could be more acceptable to God than singing his own words back to him. I remember sitting in a cafe in Geneva back in 2010 while reading a book called Praying by J.I. Packer & Carolyn Nystrom. In that book, I recall them urging every Christian to pray God’s words back to him whenever we get stuck. I’ve taken that advice in my own prayer life ever since, and have even brought it into the public prayers of the church by occasionally reading a Psalm or a prayer out of an epistle as the prayers of the people. I’ve also encouraged church musicians to select from and make use of the Psalter. God loves to hear his creatures recite the words he gives us back to him. It’s probably a lot like how I love it as a father when my sons pray words that I taught them to pray. Or when we're outside playing ball and they do what I teach them to do. There’s something so beautiful about praying the same words that other generations before us prayed. I know that I’ve derived much comfort from believers who left words inscribed inside of books but who have been dead for many years. Reading what they prayed encourages me in my own pilgrimage. My mom derives much comfort from reading her mother’s words scribbled in an old Bible of hers, even though my grandmother died several years ago. It’s a beautiful, and right, and good thing for us to follow in the ways of the people of God who have lived, believed and died before us. If we are image-bearers of the Triune God, it makes sense that we worship God with the bodies he gave us. It likewise makes sense that we worship him with the words he gave us, as it was through those words that he is giving us new, resurrected bodies. Everything we have is from God, and all of it is to be given back to him. Why not sing the very words he gave us? 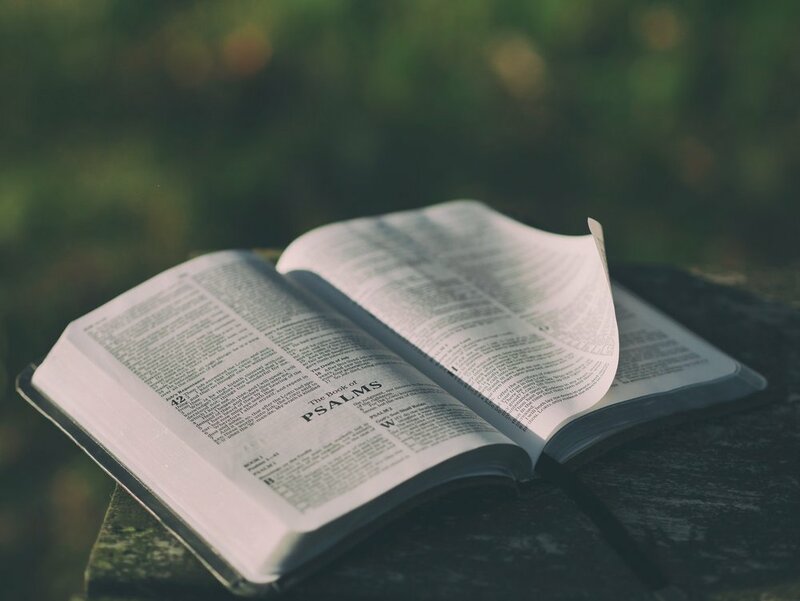 Pastors as worship leaders or pastors and worship leaders, whatever your ministerial context, seek to put God's own Word into the mouths of his people.